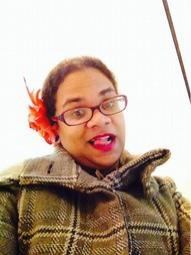 Tamyka Bullen is a POC Deaf feminist who is a social conscious artist and a social activist. She was involved in different organizations to educate about women issues/Deaf issues/Deaf LGBT issues for many years. Currently she is launching a body care business that sell soaps, lip balms, body creams, etc. to honour the Mother Earth.